1. Ask her/his family. While we are living in less traditional times asking the parents is more of a gesture than a need to do. Asking her parents will show you care about their feelings. It’ll also make her proud you thought to ask her/his parents first. 2.Prepare something nice to say. Why do you want to spend forever with this person? Really think about it and spell it out in more than just a few words. Saying something before your proposal will set things up in just the right way. Along with saying those 4 magical words tell her/him all the little things you love about them. 3. Plan your proposal. Are they a private person? Do they like being the centre of attention? If not find a private place where you can propose without an audience. Whether you plan on making it intimate or going all out with a flash mob make your proposal about them. Avoid piggybacking on another event (birthday, wedding, anniversary) so the celebration can stand on it’s own. Having to share their special day with another event could make them less than thrilled. These are things to consider with your proposal. Often proposals are made in a private or semi private setting. Would she/he prefer something quiet and intimate? Consider renting a space for your proposal. Some people like to go back to the place they first met or to their favourite place. Make it about them! Your proposal is about the two of you. Avoid crowded areas where there will be a lot of people and noise. Try to choose a place that will stand the test of time. Where you can go back whenever you want. Avoid places that will be here today and gone tomorrow. 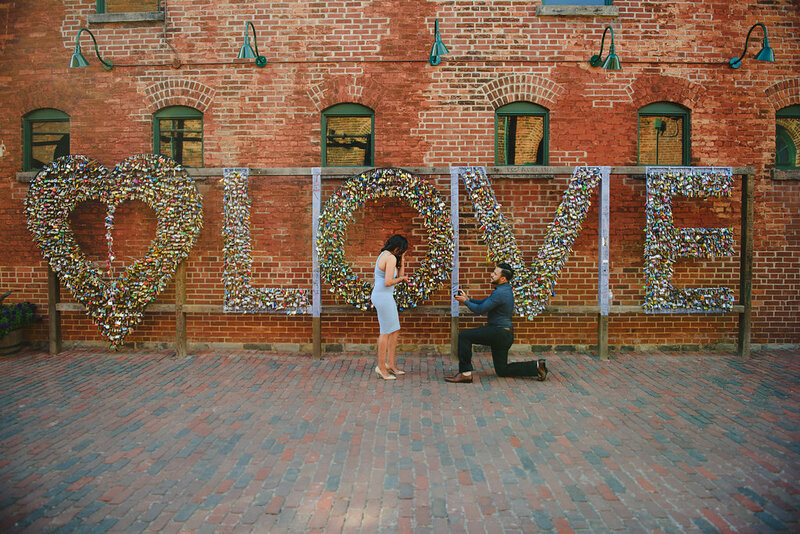 4.Have a photographer document your proposal. It goes without saying these memorable moments should be photographed. When you go through the effort of making your proposal special, make sure there’s a professional documenting it. The best proposals come from the heart. This moment is about the two of you. Put your heart into it and let the emotions flow. You got this!